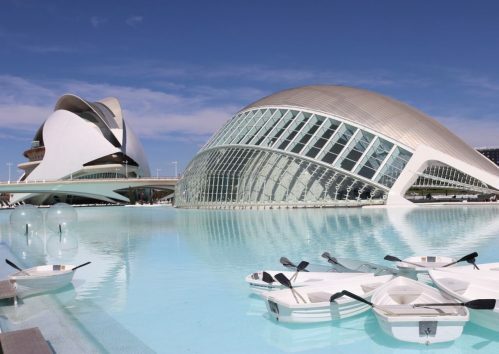 When traveling to Valencia, many people may be unsure of what to do and for how long to stay in the city. Founded in 138 BC, this beautiful city has an interesting history, incredible architecture, with ancient buildings contrasting with ultra-modern ones, nice beaches, unique festivals, exquisite cuisine and to top it all, it is easy to get around and the prices are very reasonable. I have visited Valencia several times and really think it’s one of the best places to visit in Spain. Therefore I have put together itineraries for 1, 2 and 3 days in Valencia. 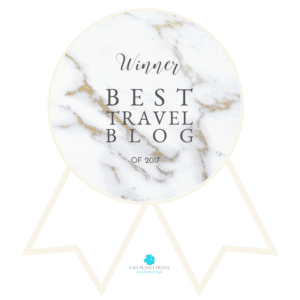 Don’t miss my 7 Best Things do in Valencia post! 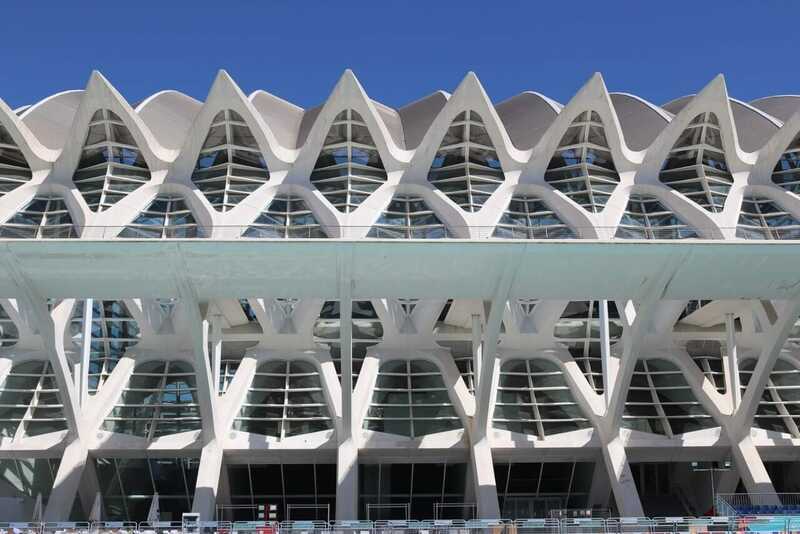 If you are going to spend only one day in Valencia, I’d suggest you to start your day visiting the City of Arts and Science, an architectural complex made up of six-ultra modern buildings and a white cable-stayed bridge. You should get there around 9:00 – 9:30 AM in the morning to take some pictures then start your visit. 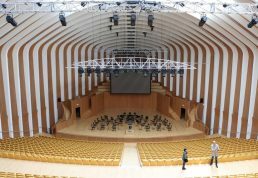 There is a lot to see and do in the City of Arts and Science but if you have limited time, I recommend taking a 1 ½ hour guided tour in the Opera House or visiting L’Oceanogràfic, the largest oceanographic aquarium in Europe. If you’re travelling with kids, the Museu de les Ciències Princípe Felipe and L’Hemisfèric (an IMAX/3D cinema and planetarium) are also good options. You will want to take many pictures of this otherworldly attraction! One of the main halls visited during the guided tour. The Oceanogràfic contains representatives of the world’s main marine ecosystems. 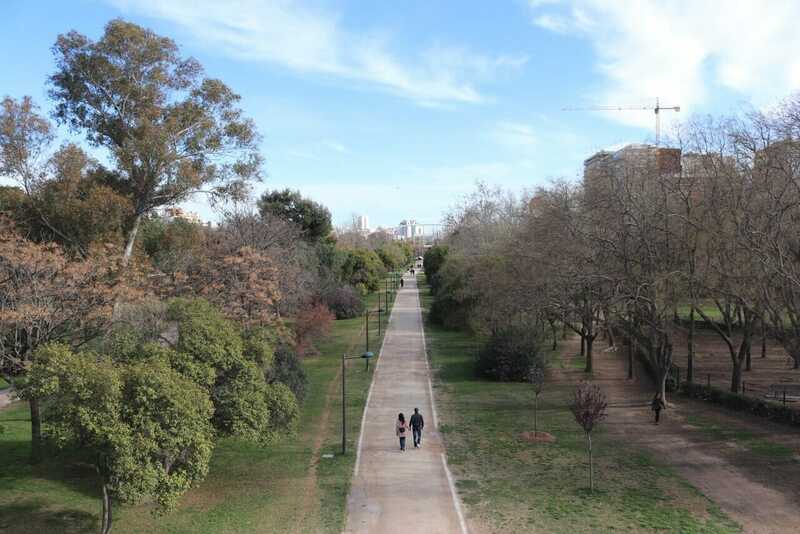 After visiting the City of Arts and Science, you could follow the old Turia Riverbed to Torres de Serrano by bus or cab, but for me, walking is a better option. 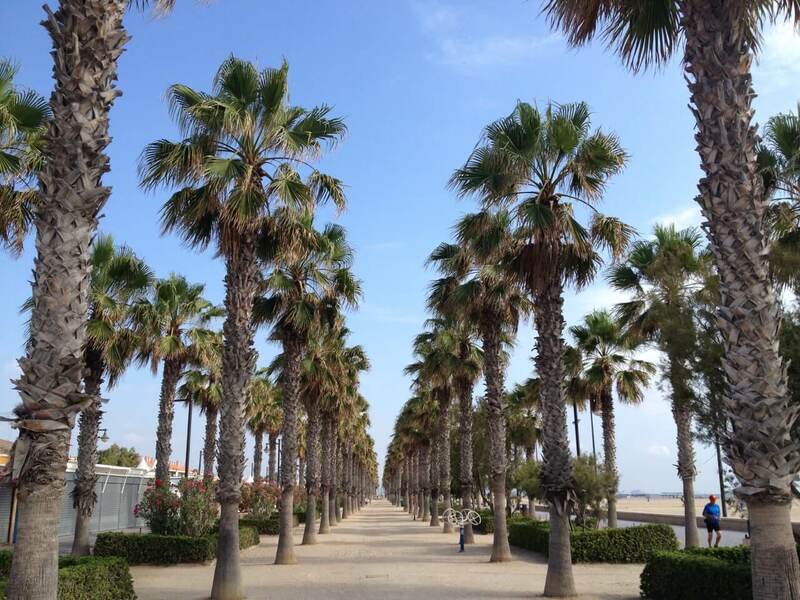 I love strolling around Jardin del Turia as it’s one of the best things to do in Valencia. After around a 40min walk, you will reach Pont dels Serrans Bridge with the imposing tower in front of it, and you can enter the Old Town through one of the city gates tower remaining from the walled city. There are many things to do and see in Valencia’s old town but if you have limited time, I recommend visiting Plaza de la Virgen (one of the oldest squares in Valencia), Valencia Cathedral (where you can find the holy chalice used by Jesus during the Last Supper) and Plaza de la Reyna. Then wander around the streets of Carmen district until you reach Iglesia de San Nicolás (Valencia’s Sistine Chapel), and finish at Plaza del Ayuntamiento (one of the most beautiful squares in Valencia). Plaza de la Virgen during the Fallas Festival. At night you can have dinner in the Carmen neighborhood where there are a few trendy and very nice restaurants. Some of the restaurants that I recommend are: Colmado de la Lola, Delicat and Celler del tossal. 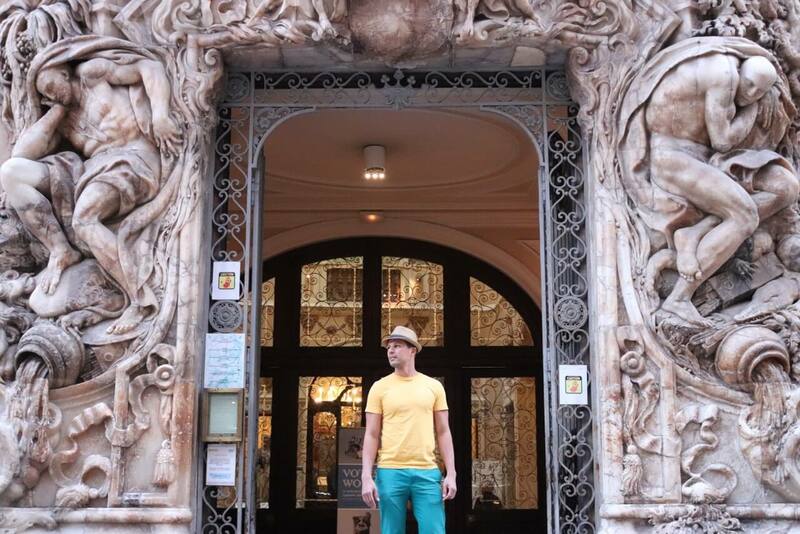 If you’re going to spend 2 days in Valencia, follow my 1-day itinerary for your first day. On the second day you should start by visiting the Bioparc Valencia, a 10-hectare (25 acre) animal park that recreates African ecosystems, such as the Savannah, Madagascar and an Equatorial Forest. 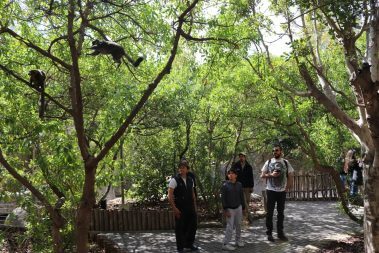 A visit to Bioparc is one of the best things to do in Valencia because you can get very close to wild animals in this park and there aren’t the traditional railings and cages common to many zoos. Instead they use natural barriers to separate visitors from the animals, such as rivers, ponds, streams and rocks. I was so impressed how close you can get to some animals. It seems like Africa, doesn’t it? 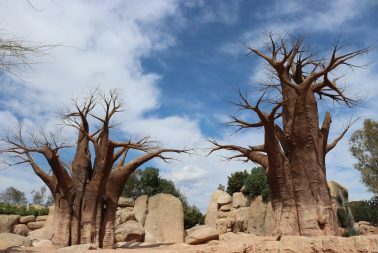 Quick Tip: Get there early in the morning and don’t miss the Birds and Mammals Exhibition held everyday at the amphitheater, an open-air arena surrounded by acacia and baobab trees. After your visit you can head to the nearby restaurant El Racó de la Paella that serves one of the best paellas in Valencia. In the afternoon, you should visit Mercado Central (a modernist style building and one of the oldest markets still in use in Europe), the nearby Església de Sant Joan del Mercat (a beautiful Catholic church), La Lonja de la Seda (a UNESCO heritage site and one of the city’s architectural treasures) and finish at one of the best museums in the city, Museo de Bellas Artes, that has a stunning collection of Valencian Gothic paintings. A visit to La Lonja de Seda takes around 1h and in my options it’s good but not unmissable. Quick Tip: You can buy some souvenirs in the market, including Spanish sausages and jamón. But be aware that the market closes at 3:00 PM. To finish your Valencia 2-day itinerary, I recommend having dinner in the Ruzafa neighborhood that has some really good bars and restaurants, such as: Rodamon, Almaden and Dos Estaciones. On my 3-day itinerary, you will not only see more attractions, but you will also be able to do it more leisurely as you will have more time. 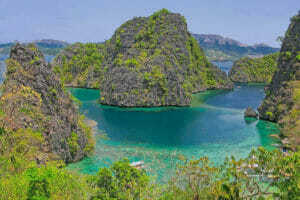 Therefore, the first and second days will be different from the two previous itineraries. 3 days in Valencia is the best option, in my opinion, specially if you’re visitng the city during the summer. In the morning, visit the City of Arts and Science. 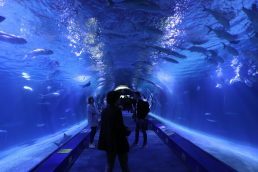 As you have more time you should take a 1 ½ hour guided tour in the Opera House and visit L’Oceanogràfic after that. Quick Tip: Don’t miss the dolphin show in the largest Dolphinarium in Europe. 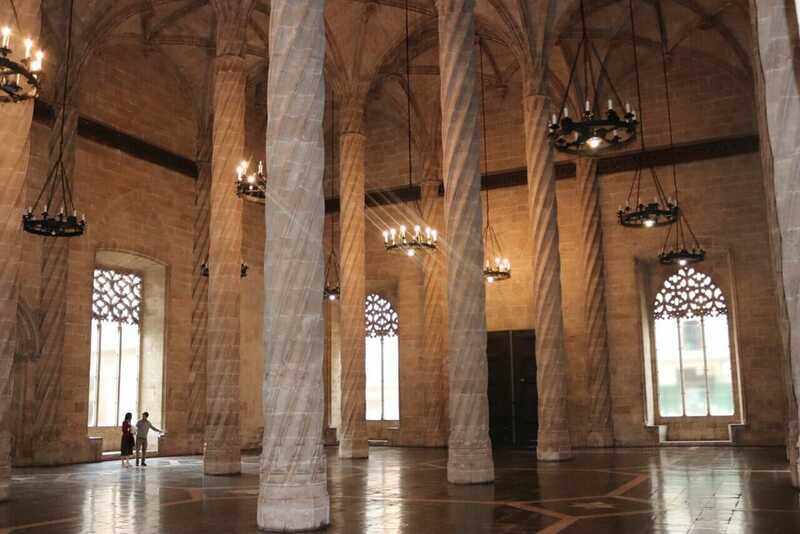 After visiting the City of Arts and Science, you can go for a walk in the old Turia Riverbed to the Fine Arts Museum to see the impressive Valencian Gothic paitings. Those are two of my favorite things to do in Valencia. 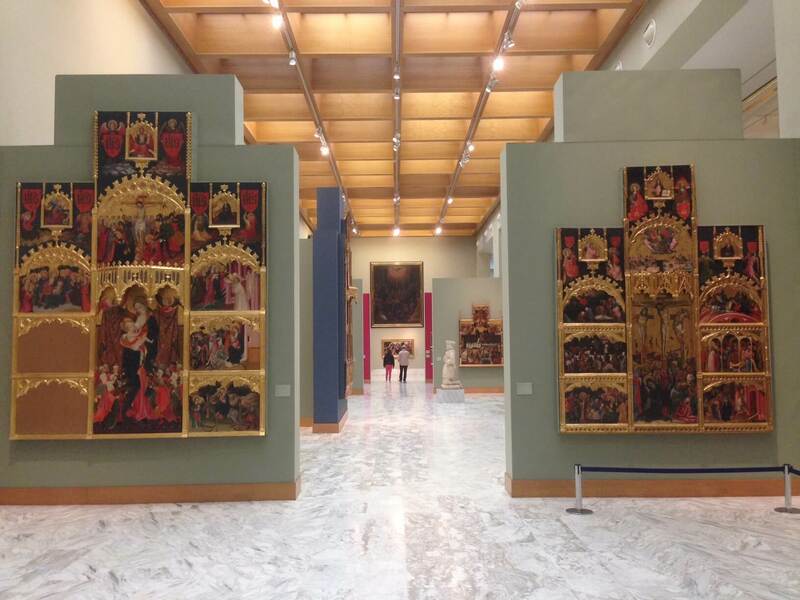 The stunning collection of Valencian Gothic paintings. In the evening head to El Carmen district to have dinner there. The second day is going to be dedicated to exploring Valencia’s Old Town. In the morning start at Plaza del Ayuntamiento, one of the most beautiful squares in Valencia, then go to Mercado Central, the nearby Església de Sant Joan del Mercat, La Lonja de la Seda and, if you have time, also the Ceramic Museum. Quick Tip: The Ceramic Museum is just a 5min walk from La Lonja de la Seda. If you don’t want to visit it, at least give a glance at its magnificent façade. 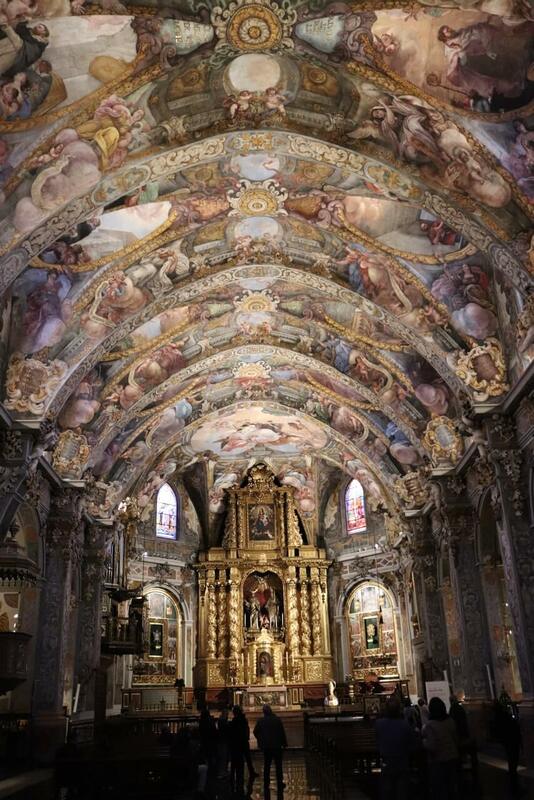 In the afternoon, start at Plaza de La Reyna, Valencia Cathedral, Plaza de la Virgen and its Basilica Almoina Museum (to learn about the origins of the city) and wander around the streets of Carmen district until you reach Iglesia de San Nicolás (Valencia’s Sistine Chapel). One of the places that I liked most during my last visit to Valencia. Quick Tip: There is a very famous and traditional place in Valencia for churros, fartons, chocolate and buñuelos called Horchatería Santa Catalina. When you’re in this area it’s worthwhile checking it out for a coffee break. The decoration with traditional tiles is very cute. End your day by having dinner in the Ruzafa district. Finish your 3 days in Valencia with a visit to the Bioparc in the morning and after that head to Playa de la Malvarrosa, one of the urban beaches in Valencia. If the weather isn’t good enough for a beach, you can visit the Valencia Institute of Modern Art (IVAM), one of the leading institutions of modern and contemporary art in Spain and the Silk Musem (the best place to discover Valencia’s rich silk tradition). Playa de la Malvarrosa, one the best beaches in Valencia. Finish your day having dinner in one of the beachfront restaurants. I recommend: Bodega Anyora, Casa Montaña, Bodega Aldeana and La Peseta. Another option Bar Ricardo in La Petxina that serve one of the best patatas bravas in Valencia. Quick Tip: If you you’re looking for things to do in Valencia at night, during the summer months La Marina de Valencia becomes one of the hottest spots in the city offering music, sports, culture, nightlife and gastronomy. And L’Umbracle, at the City of Arts and Science, is transformed in one of the most impressive and elegant summer terrace clubs in Valencia. After spending 3 days in Valencia, you will understand why this is one of my favorite cities in Spain. Of course, these are just suggested itineraries for 1, 2 and 3 days in Valencia, and you can change it according to your interests, budget and time. I believe that following those directions will make your trip to Valencia much easier to plan and more enjoyable. Safe travels and have fun in Valencia. If the bulls aren’t injured is it acceptable to watch a bullfight? I always recommend to buy a travel insurance, which can literally be your lifeline if something happens to you and if your luggage is lost or stolen. I always use World Nomads Travel insurance for independent travelers. It’s easy to buy, extend & claim online, even after you’ve left home. Get yours here. Valencia, the capital of the autonomous community of Valencia and the third-largest city in Spain after Madrid and Barcelona, is located on the east coast of Spain, around 300 Km (186 mi) of Madrid, Spain’s capital (check map here). There is an international airport in Valencia, and some of the airlines operating flights to Valencia are British Airways, Easyjet, Vueling, Iberia, Air Europa and Ryanair. You can book your flights with Skyscanner or Momondo, which are the websites that I use and trust. You can also get to Valencia by train from Madrid and Barcelona with Renfe, or by bus with Avanza or Alsa. Valencia has a Mediterranean climate with consistently pleasant weather. Average high temps range from 15 C (59 F) in the wintertime to 30C (85F) in the height of summer. You can visit Valencia all year round and I would say that the best time is between May and September. 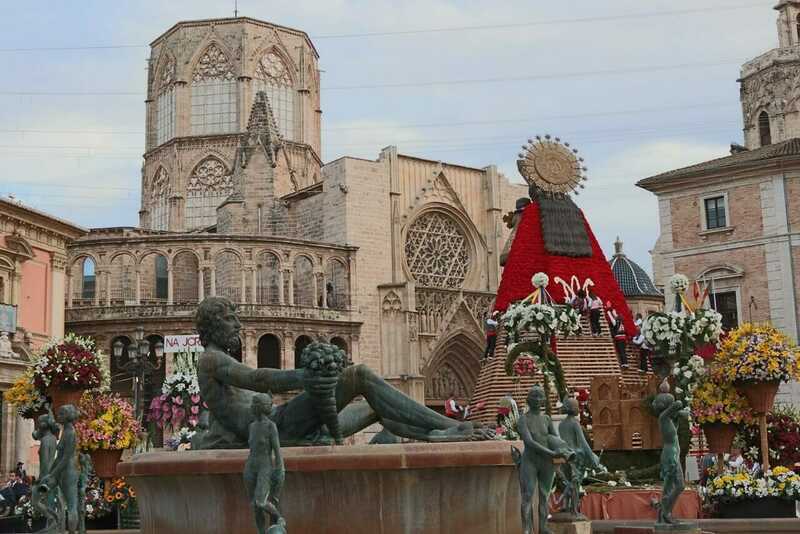 However, if you want to see the Fallas Festival you must go between 15th and 19th of March. Budget: UP Hostel Valencia, Center Valencia Youth Hostel and The River Hostel. Book your tour online in advance with Get Your Guide here. 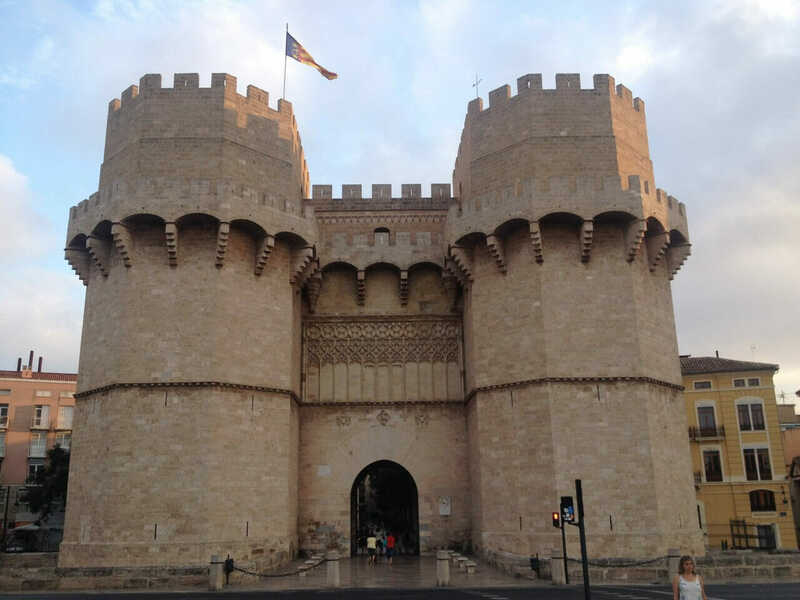 If you want to save some money during your stay in Valencia, buy the Valencia Tourist card. 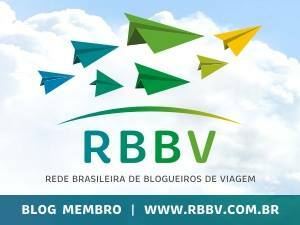 With this card you travel for free on buses, metros and trams and get free entry to municipal museums and monuments. The cheapest card, the 24h one, cost €15. Just the metro from the airport to the city center costs € 4,5.